What a great weekend! I got lots of stamping time in and made some awesome projects that I can't wait to share with you. In the meantime, I have to confess - I love the Four Feathers stamp set. Who knew that four simple feathers could make someone so happy?!?!? One of the best parts of this set is the coordinating Feather Framelits. This mean you can make really complex projects using both the stamp set and framelits or a simple card like the one I have to share with you today! I mean could this card be any cuter or simpler?!?!? Just three quick stamps and a little embellishing, and your done! Lately, I can't seem to get enough of Blackberry Bliss; it is just such a pretty color to me! 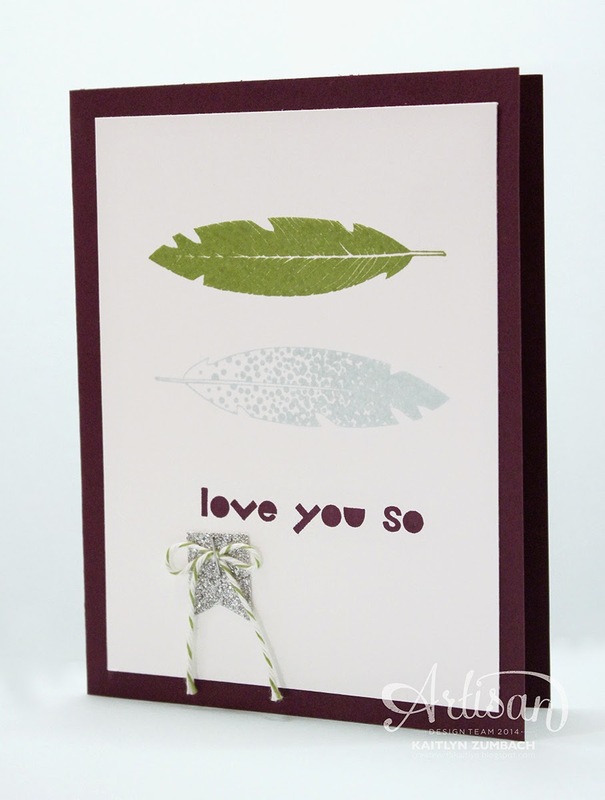 On this card I used my Color Coach to help me pair Old Olive and Soft Sky with Blackberry Bliss. This is such a pretty, clean, and modern color scheme! Definitely a keeper for a while. The Silver Glimmer Paper Banner compliments the colors nicely and provides some fun sparkle. I always love a baker's twine bow, but being able to use matching Old Olive Baker's Twine is awesome! 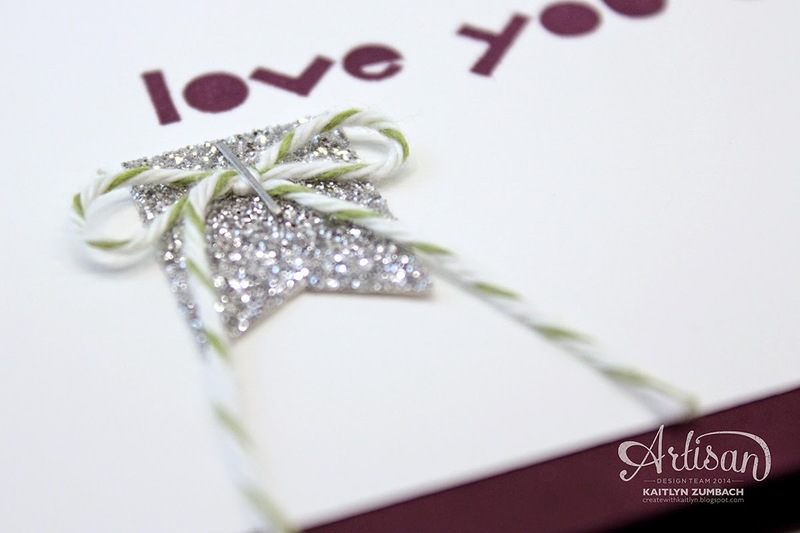 This card is so simple, I didn't even use adhesive to attach my embellishments. Yup I went right for my Handheld Stapler (I'm kinda obsessed with that thing!). What stamp set are you loving right now?? ?